Worldwide icon-chevron-right North America icon-chevron-right United States icon-chevron-right California icon-chevron-right Los Angeles icon-chevron-right Ohana Brewing Co. 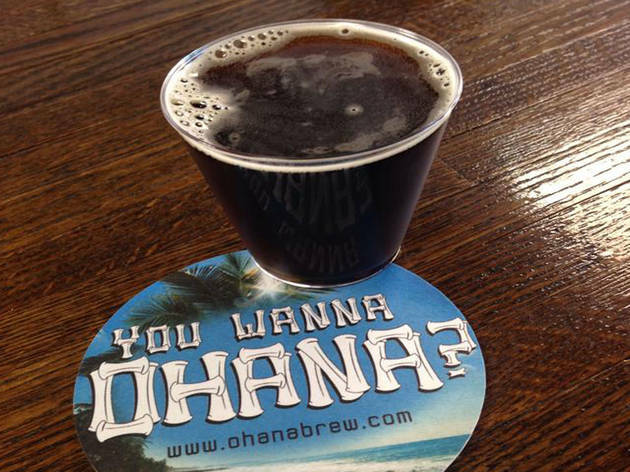 Photograph: Courtesy Ohana Brewing Co. A 4oz. pour at Ohana Brewing Co.'s tasting room in Alhambra. 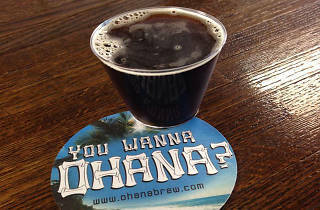 Ohana Brewing Co.'s actual brewery may be located in a Downtown warehouse, but its tasting room is far from industrial—and far from the actual brewery. Instead, head to Alhambra, where a quaint storefront window reads "Ohana Brewing Co." in Hawaiian-inspired script. The family-run operation ("Ohana" means family) started in a garage two years ago, but the tasting room only opened at the beginning of 2014, and is already offering incredible beers (though tastings are limited to four per customer). Try the Pacific Ale if you're into brews that are slightly malty and easier to drink, the Saison Miel for something frutier and honey-infused, or the Saison Noir for a darker beer with banana and clove notes (bonus: this beauty was a silver award winner in the 2014 World Beer Cup). For a brew that's a little out of the box, the Special Tap is a rotating selection that Ohana uses to play around with ingredients like cucumber, coffee and kumquat. I've been coming to Ohana's tasting room for a year and a half now and I love it! There's always something new to try and everything has a distinctly unique flavor to fit anyone's preference. My favorites are the Pacific Surf Shack, Spa Water, Green Tea Lychee IPA, and the Hefe I tried tonight. Such a great spot to kick off the night or for a mid-week pick me up. We've now been regulars at Ohana for the last three months. Andrew is committed to his craft and has something for every bud--hops, hefe, sour, fruit-infused, saisons, browns, and bold ventures with tea and lychee! True to its name, Ohana makes you feel like family.